This course has pre-requisite requirements. It assumes that learners have knowledge and skills in a range of maintenance activities. To be entitled to receive a Statement of Attainment for UEENEEN114A, learners must be able to demonstrate they meet UEE41211 qualification pre-requisite requirements. Refer to the HRD UEE41211 Unit pre-requisite chart for details. using two different equipment types. RPL is available, but is not recommended. A HRD Certificate of Completion is issued to successful learners. Learners may be entitled to a Statement of Attainment for UEENEEN114A on successful demonstration of competence. Training typically occurs over 5 days, including workplace practical assessment. Assignment preparation is generally in the learner’s own time. Because learners must already be employed in a rail signalling context, it’s expected that your employer will meet all course costs. HRD MicroLok II, MicroTrax and/or GCP training is for signal maintainers wishing to upgrade their skills in computer-based interlocking and/or track circuit systems. Training is available as an integrated program or as stand-alone courses. MicroLok II training builds competence in the installation and maintenance of a MicroLok II control system. through-the-rails communications to adjacent wayside control systems. The modular design of the units enables a rail operator to custom design the system to meet their specific requirements. HRD MicroLok II training contributes to meeting the underpinning knowledge requirements of the unit of competency UEENEEN114A Maintain computer based interlocking systems. complete relevant installation and maintenance records. Assessment includes practical exercises, assignments, written tests and workplace practical assessments. A Statement of Attainment for UEENEEN114A may be awarded if the candidate successfully demonstrates all competency requirements. To be entitled to receive a Statement of Attainment for UEENEEN109A, learners must be able to demonstrate they meet UEE41211 qualification pre-requisite requirements. A HRD Certificate of Completion is issued to successful learners. Learners may be entitled to a Statement of Attainment for UEENEEN109A on successful demonstration of competence. Training typically occurs over 3 days, including workplace practical assessment. Pre-reading may be required. Assignment preparation is generally in the learner’s own time. The Micro-Trax coded track circuit is a solid-state, microprocessor-based track and line circuit system designed to work in non-electified territory. MicroTrax combines track circuit management, train detection and line wire circuitry functions wit communications carried through rails. It also allows the user to control signals, drive relay outputs and receive inputs from external sources. Vital integrity is maintained through detection of broken rails and failed insulated rail joints. HRD MicroTrax training contributes to meeting the underpinning knowledge requirements of the unit of competency UEENEEN109A Install and maintain train detection equipment. A Statement of Attainment for UEENEEN109A may be awarded if the candidate successfully demonstrates all competency requirements. 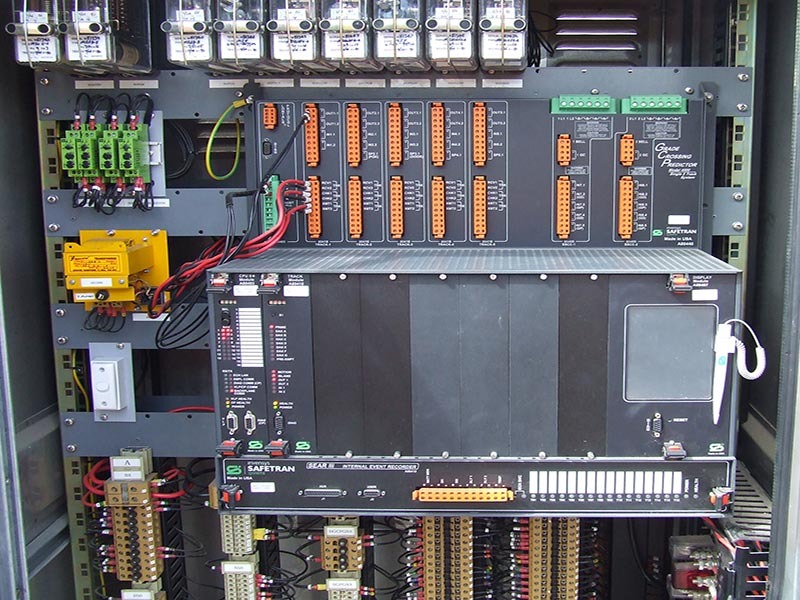 The GCP 3000/4000 is a microprocessor-controlled system used to continually monitor approaches to railrodd grade crossings. GCP works in either PREDICTOR mode or MOTION SENSOR mode. activates crossing protection equipment at a programmed time prior to train arrival at the crossing. activates crossing protection on train detection. 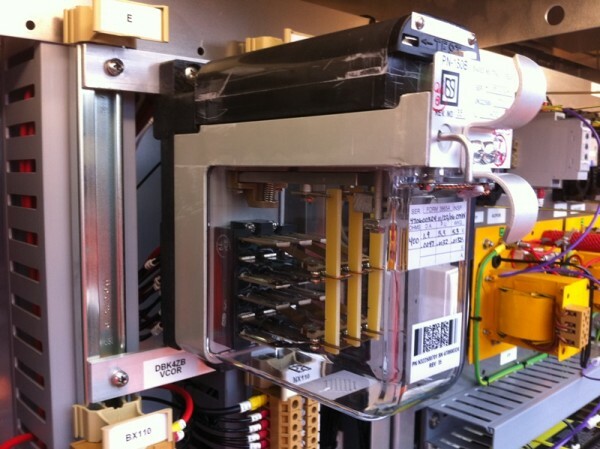 HRD GCP theory training contributes to meeting the underpinning knowledge requirements of the unit of competency UEENEEN109A Install and maintain train detection equipment.